Thousands of first responders are fighting massive wildfires in California. 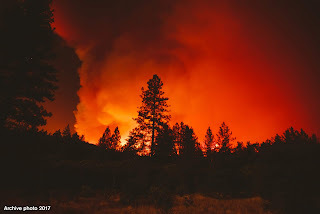 These fires prompted the evacuation of more than 250,000 residents on Friday, and the American Red Cross is supporting evacuees in emergency shelters as more people are displaced from their homes. The American Red Cross is Delta’s longest-standing nonprofit partner and when disaster strikes, Delta’s support helps the American Red Cross provide food, shelter and relief to those in need. Delta’s support as an Annual Disaster Giving Program (ADGP) participant at the $1 million level, allows the organization to be strategic in disaster response as it is now responding to these devastating wild fires in California. Through the partnership with the American Red Cross, Delta, its employees and customers have helped people in need for more than 75 years. In addition to ADGP funding, employees participate in corporate blood drives throughout the year, making Delta the largest corporate sponsor of American Red Cross blood drives with 11,085 pints in the fiscal year of 2018 (year-end June 30, 2018). Delta customers are asked to donate directly to the disaster relief of the California wildfires at http://redcross.org/delta-pub. Your generous gift will provide immediate relief and long-term support through supplies, technical assistance and mobilization of volunteers. Customers are also able to donate to the American Red Cross through SkyWish, the charitable arm of Delta's SkyMiles frequent flyer program. It allows Delta and its SkyMiles members to donate miles to charitable organizations worldwide. As people are affected by crises around the world, donations to the American Red Cross help to ensure that those individuals, families and communities who are most in need are helped quickly. For more information on Delta’s partnership with the American Red Cross, visit delta.com.